If you’re looking for a place to take a relaxing yet rewarding holiday then Chile is certainly a good choice. It boasts one of the best infrastructures in South America, making it easy to explore, and there are a plenty of unique attractions that single it out as an excellent place to visit. Major attraction among these are its wines and vineyards. So we compiled a simple guide to the wines of Chile for you. Chile’s wine-making has a venerable history, stretching back several centuries when vines were imported from France – which were the only ones of their kind that survived. But let’s not get bogged down in historical details – let’s jump straight into the juicy stuff. Let’s say that a group of people have decided to take some nice Chile Holidays, and are looking for places to visit during their stay. Since wine-making is a famous and large part of the tourist attraction of the country, they ask themselves the simple question: which vineyards should they visit during their stay there? Well, you can’t go wrong if you start with the most famous one: Concha y Toro. 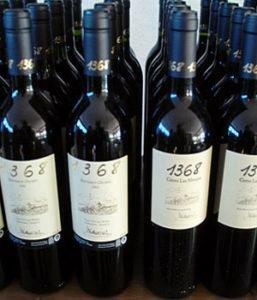 Not only is it the most famous producer of wine in Chile but it is also the largest in Latin America. The wines that it has produced have received international acclaim, especially the ones that come from its legendary reserve called “Casillero del Diablo”, or “the devil’s cellar”. The company has an assortment of vineyards all over Chile with the flagship located south-west of the capital city of Santiago. It offers a guided tour of the vineyard and the famous cellar. Also offered are wine samplings, in which the visitors get to taste some of the very finest wines from the cellar. Another of the famous, wine related attractions that Chile has to offer is the Cousiño Macul vineyard. Cousiño Macul is another multi-site vineyard with branches in the Maipo valley and the Macul and Buín communes. The most accessible one for people visiting Chile – since they will most likely be staying in Santiago – is the Macul one. Situated next door to the communes of Ñuñoa, Peñalolen and La Florida, this vineyard is ideally situated for people perhaps too worn out from their Chile Holidays to take a long trip to other, more distant vineyards. Here, they can observe the making of the wines, the fermentation, the ageing caskets, the wine cellars and all the other trappings of a vineyard. Additionally, winetasting events are often held here as well, and visitors can sample a broad section of wines, from the Lota to the San Luís, from the Syrah to the Carmenere. Author: This article was written by Tom Browne, a travel writer who went to Chile back in 2012. Chile holidays provide the quintessential South American experience, from spectacular mountain ranges and verdant valleys to vibrant Latin culture.